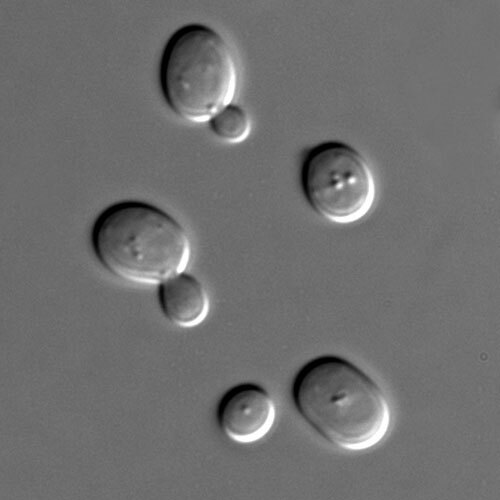 Whole genome duplications have been attributed to multiple species, including Saccharomyces cerevisiae, common baker’s yeast. These duplications have been worked into evolutionary timelines, as well as explanations for genetic and functional diversity. But they have yet to be incorporated into a satisfactory mechanism that could explain their origin. The mechanism that has been deemed most likely attributes genome doubling to simple duplication. An alternative mechanism, one that calls for hybridization, has been viewed less favorably, mainly because hybrid crosses are seldom viable. Even the rare hybrid crosses that are viable typically produce sterile hybrids that are unable to pass their genetic information to offspring. Hybridization, however, is getting another look, thanks to work at the Centre for Genomic Regulation (CRG) in Barcelona. CRG scientists Marina Marcet-Houben and Toni Gabaldón used computational methods that let them look at S. cerevisiae as a kind of genetic clock. This clock, it has been estimated, started clicking around 100 million years ago, just before the separation of Vanderwaltozyma polyspora from the S. cerevisiae lineage. This event originated a clade marked by a whole genome duplication, or WGD. The scientists found that the age of some duplicated genes seemed to be much greater than that predicted by the prevailing theory for the WGD event. Rather than supporting a genome duplication event at the time when yeast evolved to have twice the number of chromosomes, their data indicated that the duplicated genes had begun to diverge long before. This result suggested the possibility of hybridization between species. In this case, the genes that have been duplicated still differ from each other, so that their divergence preceded the duplication of the chromosome. “[We] used a large-scale phylogenetic approach to examine the individual evolutionary histories of all yeast genes and assessed the time at which each duplication occurred,” wrote the authors. “This survey revealed evidence for an ancient hybridization event between two ancestral species in the lineage in which the whole-genome duplication had occurred. “When we first saw the results of our study, we thought there had been some kind of mistake,” commented Toni Gabaldón, the lead investigator of the study and head of the Comparative Genomics Group. “Honestly, when the results are not what you expect and contradict what is established, the first thing you do is think that they were affected by some kind of problem. But once all the potential problems have been discarded, you begin to interpret the data objectively, without preconceived ideas, and to do real science. That's when we started to consider the different possible explanations and to work on a new idea.